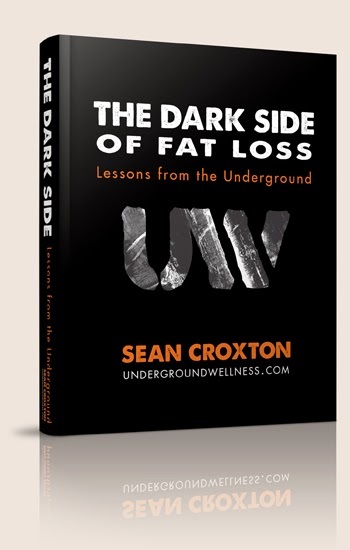 The Dark Side of Fat Loss is a weight loss and wellness program developed by Sean Croxton, who is a Certified Personal Trainer and Functional Diagnostic Nutritionist. The program addresses issues, such as calories, insulin, and saturated fat, as well as proper digestion, stress management, body cleanse and detox, and hormonal balance. Chapter 1- Hold No Myths To Be True: here he talks about how Calorie in and out is wrong and why you fail to achieve your fat loss goals. Chapter 2 – It’s All About The Hormones: in this chapter you are going to learn which are the most important hormones for fat loss. Chapter 3 – Do What Healthy People Do: the habits that will help you improve your health and lose weight. Chapter 4 – Just Eat Real Food: the foods that will keep you full and help you achieve hormonal balance. Chapter 6 – Reduce Stress: the 5 sources of stress and how to control them. Chapter 7- Go To Bed: the importance of sleep in preventing disease and weight gain. Chapter 8- Heal Your Gut: learn about leaky gut, and other digestive issues. Chapter 9 – Reduce Your Toxic Load: how to remove toxins from your immediate environment. Chapter 10 – Do it: 6 steps to change your lifestyle. Is the Dark Side of Fat Loss any good? Sean Croxton claims that the reason why people fail to lose weight is that the Calories In – Calories Out notion is false. This is simply not true. The only way to lose weight is to create a calorie deficit. Weight loss is simple, but not easy. This means that the most likely reason why people fail is not that the formula is incorrect, but that most people simply can’t maintain a calorie deficit long enough to lose weight. And even if they do, they usually end up regaining all the lost pounds and more. But, why does this happen? The answer is simple: hunger! The truth is that your body doesn’t “want you” to lose weight. So, when you try to eat less, it fights back and creates intense hunger pangs that are very difficult to resist. This may have something to do with the hormone leptin. Read the Venus Factor Review, for more on this topic. So, is the Dark Side Of Fat Loss worthless, then? Surprisingly, no! The program works! The reason why it works is not due to some magical hormone-regulating mechanism, which allows you to lose weight without calorie restriction. By implementing the lifestyle changes suggested by Sean Croxton, such as getting more quality sleep and eating real food, you may be able to reverse any issues of leptin and insulin resistance you might have and regulate your blood sugar levels. This will allow you to eat fewer calories without feeling hungry. Weight loss will become effortless. Do you want to find out more? Visit The Dark Side of Fat Loss!